In a season where he's been forced to battle of barrage of injuries and assorted ailments, Mason Raymond has found a way to maintain a healthy attitude. Coming off a campaign in which he emerged as one of Vancouver's most dangerous weapons, a player that has an enviable amount of both speed and skill, all signs pointed to an even better season for the 25-year-old forward. With over half the year in the books, 2010-11 hasn't panned out quite the way Raymond anticipated. But Raymond isn't about to start feeling sorry for himself. Fortunately for Raymond and the Canucks, the highs have far outweighed the lows this year. Playing on a line with Ryan Kesler, who has blossomed into one of hockey's premier two-way forwards, and Mikael Samuelsson, a Swedish veteran with plenty of creativity and offensive punch, Raymond is still every bit as dangerous as he was when he lit the lamp 28 times in 2009-10. There's no need to remind him of who his linemates are. A product of the Alberta Junior Hockey League (AJHL), Raymond played two seasons with the Camrose Kodiaks, where he captured league and regional titles, while also being named league MVP in 2005. He then joined the collegiate ranks with the Minnesota-Duluth Bulldogs of the Western Collegiate Hockey Association (WCHA) for a two-year tenure there, where he earned WCHA All-Rookie honours in 2006, WCHA First Team All-Star honours in 2007, and was also named the team's most valuable player, also in 2007. Now, Raymond, who picked up his first NHL point, an assist, in the season-opener against the San Jose Sharks on October 5, 2007, finds himself part of a club eager to bring the city of Vancouver their first Stanley Cup. Raymond knows he can always count on a Canucks idol and former NHLPA member for some sound advice. “When I first came up, Trevor Linden really helped me out tremendously,” said Raymond, of the former Vancouver captain, who played 1,382 NHL regular season games. “We developed a close bond. He's an Alberta guy like me. I still keep in close contact with him. We'll fire off texts to one another and talk about hockey, life and everything. Raymond, who had his number nine Camrose jersey retired prior to their season-opening game against the Okotoks Oilers on September 10, 2010, would no doubt relish the chance to emulate the career of Linden, including adding some more playoff experience to his stat sheet. 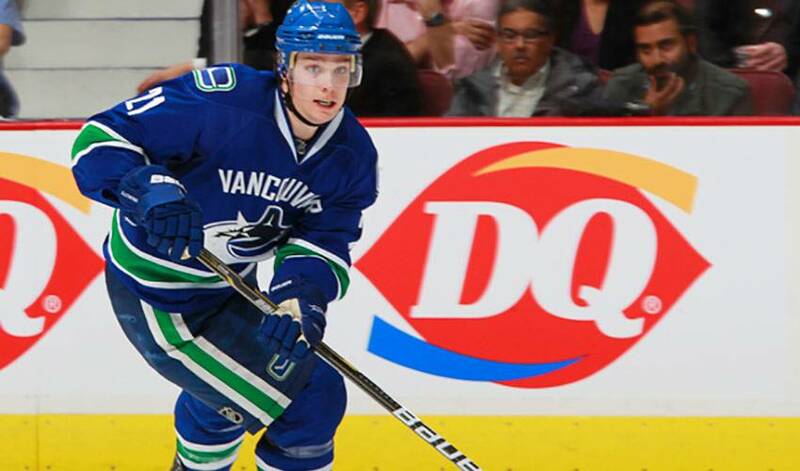 With a healthy mind and healthy body, Mason Raymond will set his sights on his No. 1 goal: bringing the Stanley Cup to Canada's West Coast.